As Talent Acquisition Manager for the largest independent performance marketing agency, I’m constantly looking at how to attract the best in class digital talent. We pride ourselves on our innovation along with our in-house technology that enables our team of specialists to offer our clients unrivalled solutions to their digital goals. Being unique can make hiring a challenge, how do we identify individuals with the right skills to lead teams whilst quickly adopting a new approach. It’s not just digital roles that make up the business though, what of the other support functions; why chose a career in the engine room of Forward3D? I sat down with Fay Summers (Finance Operations Manager) and Jasmin Taylor (HR Advisor) to understand what attracted them to a career in Finance and HR respectively, and more specifically here. Did you always plan a career in Finance/HR? Fay: I’ve been working in finance from the age of 16. I always excelled at maths so it felt like a natural career move. I started out in the City, always working on the credit control side, and worked my way up. Jasmin: I fell into HR, I studied Business & Marketing at University where I was lucky enough to do a placement year in HR with Sony Music, they offered me a permanent role there when I finished. Tell me about your role here at Forward3D? Fay: I’ve worked for Forward3D for 4 years. As part of the wider finance team of 11, I manage a team of 6, responsible for anything transactional that goes through the business. We then pass this information on to the other part of the finance team, the Management Accountants, for detailed analysis. 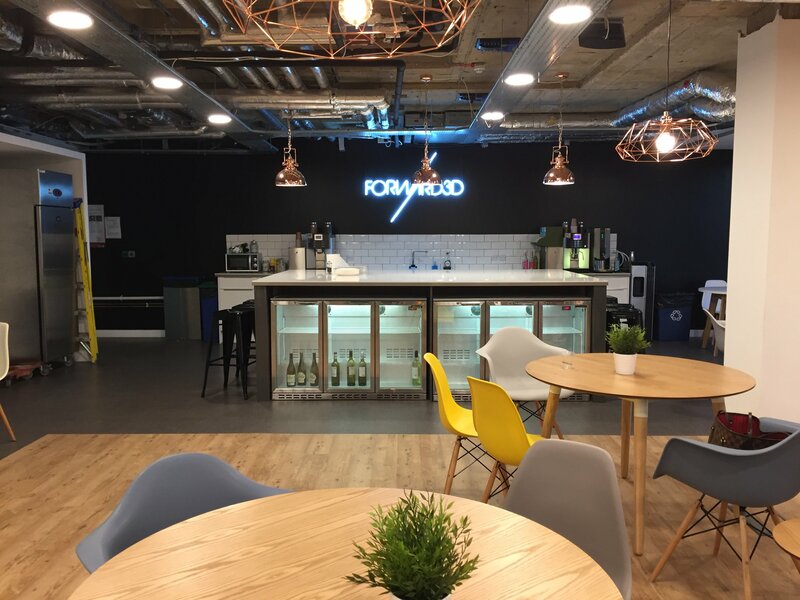 Jasmin: I have worked at Forward3D for 2 years now, where I cover anything that comes under HR from operational level - making sure everything has what they need and are happy. As a top level overview, I look after trainee recruitment, learning & development, benefits, international support for offices and set up. I also deal with any issues and support systems. What attracted you to apply for a role here? Fay: I worked In media in my last role but for a network, so I wanted to work at an agency and gain client-side exposure. Jasmin: At Forward3D, HR has a good relationship with the business which I didn’t have in my previous roles and wanted. What differentiates F3D from some of the other companies you’ve worked in? Fay: The culture really suits me here. There are no airs and graces which is often not the case in finance. There isn’t lots of red tape and processes here and you get exposure to everything, whereas in other businesses you may only be in control of one department - here you get to see the big picture. Jasmin: Here, at Forward3D, you get to try new ideas. We have created a number of channels for people's opinions to be heard, for example the Forward3D council and Friday meet-ups. There are a number of examples where employees have come up with great initiatives, such as our buddy scheme (where employees from different departments take time out to train each other in new skills) that we have been able to facilitate and develop. Best part of the job/biggest challenges? Fay: I love my role here as it’s so varied - no two days are the same. I often don’t know what I’m walking into each morning and I never find myself clock watching. We’ve grown from 3 entities to 11 which has been great for my career as I have had to develop my knowledge of new markets. This can have it’s downsides as I don’t always get the chance to be proactive, especially through a period of growth. Jasmin: Best is the relationship HR has with the business, globally. Nevertheless, because HR is centralised and we cover so much we do have to be really diligent in making time for the international offices, it’s really important to us that all of our staff receive the same support they do here in London. Fay: There are great opportunities for progression here. If you come in as junior AP/AR role there are clear paths for progression and we can support this with external study, for example, Accountancy ACCA/CIMA qualifications. Jasmin: Because we’re a small team, I work closely with the Head of HR who has given me loads of insight into things that I wouldn’t have within a larger team. I’ve been promoted to Advisor in the time I’ve been here and Forward3D supported me through my CIPD which I completed this year. If you are interested in a career at Forward3D, take a look at our current open vacancies here.